How Does Canada Know If You Have a DUI? How Will the Canadian Border Know That I Have a DUI? Many Americans interested in entering Canada with a DUI or DWI wonder how the Canadian border knows if a visitor has a criminal record. Canada's front-line border agents now have access to more information than ever to help identify potential security risks when screening visitors. As of Nov 23, 2015, Canada Border Services Agency (CBSA) agents have full access to the FBI criminal database at their primary checkpoints, which allows them to detect when a visitor has a warrant or a criminal conviction. United States criminal records are visible to border officers through the Canadian Police Information Centre (CPIC). Operated by the RCMP, the CPIC central police database is interfaced with the United States National Crime Information Center (NCIC), which is the FBI CJIS database interlinked with all federal, tribal, state, and local agencies in the US. In the past, only visitors sent to secondary screening when entering Canada were fully screened against the CPIC database, which contains information about Americans from the FBI criminal database. During the initial screening, passports were only scanned into an internal "lookout" system that contained a database of wanted individuals and lost, fraudulent, or stolen passports. This is no longer the case, however, which will greatly increase the likelihood of criminally inadmissible individuals being detected when crossing the Canadian border. According to La Presse (Canadian news company), more than 30,000 Americans were refused entry to Canada in 2016 compared to only 7,509 in 2014. 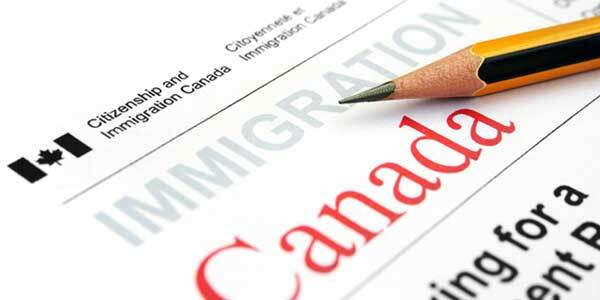 If you are criminally inadmissible to Canada because of a criminal record such as a DUI, you can overcome your inadmissibility with a Temporary Resident Permit or Criminal Rehabilitation in order to cross the border. Interested in learning more about going to Canada with a DWI? Phone us today for a free consultation. Every month millions of people show up at Canada's borders, and most travelers are processed in approximately 30 seconds. In an effort to keep traffic moving, before 2016 not every visitor was fully screened for a criminal record by border agents. When people arrived at a Canadian border crossing, their passport was scanned through a CBSA lookout system that contained details about immigration violators and lost or stolen passports but was not necessarily checked against Canada's national police database called CPIC. Standing for Canadian Police Information Center, the FBI shares criminal information with CPIC enabling Canadian authorities to identify Americans who could potentially pose a threat to the country such as those with criminal records back home in the United States. In years past, the primary determining factor on whether or not a foreigner with a criminal record would be caught by authorities when entering Canada was whether or not their record had been transferred into the CBSA lookout system. Of course, even if an arrest or conviction was not on the CBSA lookout list, if the person raised any suspicions at the border or was randomly selected for secondary screening officials could check CPIC to see if they had ever committed a crime. Now, however, the CBSA lookout system contains CPIC information so people who are inadmissible to Canada due to criminality will be more easily detected during the initial screening process. In addition to driving under the influence (DUI), Americans who have been charged with other alcohol related driving offenses such as DWAI, OVI, and reckless driving can also be denied entry at the border. In 2015, the Canadian Federal Government also earmarked an additional $1 million for border security and announced that they had increased the number of border service officers by 26%, making it even more unlikely for someone to slip through the border undetected with a misdemeanor or felony. In 2016, Canada also implemented an Electronic Travel Authorization (eTA) system as part of their border security improvement initiative.